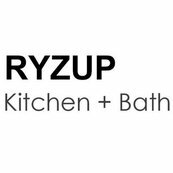 Thank you RYZUP Kitchen for turning a stressful process into a very smooth one. I really enjoyed how seamless the whole process was and how they kept their promise in-regards to time and budget! I'm in love with my new kitchen!! Thank you so much for your amazing review! Here at RYZUP Kitchen we cherish the relationship with our customers and we hope to be able to work with you again in the future! Thank you so much for your amazing review! Here at RYZUP Kitchen we cherish the relationship we have with our customers and we hope to be able to work with you again in the future! Thank you so much for your amazing review! We were honored to be able to work with you and we are so glad to have made the process as painless as possible.